Wedding photography is important, and yes, it will cost you quite a bit of money. But the single most important thing for couples after their wedding day is to see great wedding photographs that captured one of the most important days of their lives. Think about it — you’d want to remember what the flowers looked like, the details on your dress or suit, how your hair was perfect all day, the smiles on your parents’ faces, the sky, the sun… People get emotional about the littlest things on their wedding day, and it is best to have it all captured. One for the memories! If research for the best wedding photographer (and one that suits your budget) is bogging you down, then OneThreeOneFour could be your best man — or friend. After all, the portal is to wedding photography what Airbnb is for short-term accommodation. 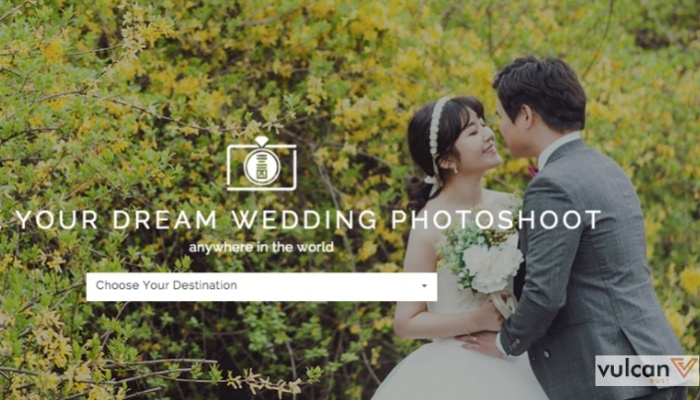 From the island charm of Bali to Korean-themed wedding concepts, OneThreeOneFour connects couples to various wedding photo shoot experiences all around the world. If some lalang field or Fort Canning Hill is just too blasé for you, then perhaps you’ll find your preferred wedding shoot adventure on OneThreeOneFour. All the photographers onboard OneThreeOneFour are specially selected and verified by the team, so you can be assured that it’s quality stuff you can get on this platform. 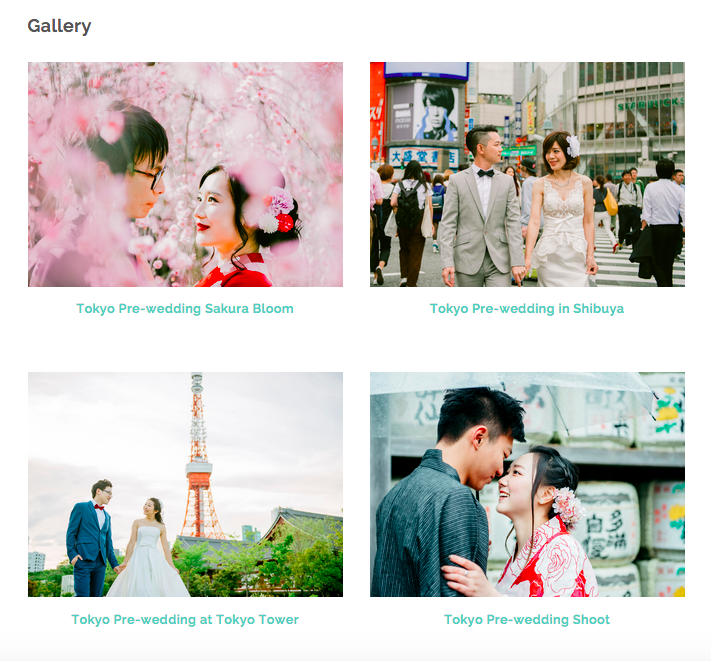 Couples can browse through the list of photographers, or if you have a city of choice to do the photoshoot, OneThreeOneFour will serve up a list of available photographers for you. If you sign up, you’ll get a look at the pricing list — for budgeting purposes. You can chat with the photographers you’re interested in working with, confirm the dates, book and pay through OneThreeOneFour. Payment to photographers are released only after your photoshoot is complete. On the other hand, photographers can also benefit from this platform by listing their services for free. Couples can immediately take a look at your portfolio, and you can chat with them to get to know your potential clients better. If your timing is flexible and you’re looking to do some travelling as well, you can list the countries you’re open to going to for shoots — it’s a great opportunity to expand your portfolio internationally and meet people from different cultural backgrounds. Besides their direct services, the OneThreeOneFour blog is a good resource for wedding ideas, and a nice insight to other picturesque and beautiful weddings around the world — but only if it was placed more prominently on the site. For those who need it, OneThreeOneFour is going to be a very useful and resourceful site that would better inform them of the rates of wedding photographers and what goes into the packages and sorts. It also offers a refreshing and creative alternative to the standard wedding/pre-wedding photoshoots there are out there. Wedding bells a-ringing or not, who doesn’t appreciate good photography?